Happy Tuesday dear friends!! 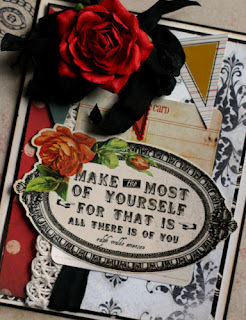 I have some Glitzy Embellished cards to share with you today!! Don't you just love all the embellishments Glitz Designs carries? From the Glitzers and Peekaboos to the Whatnots, there are so many possibilities for creativity!! 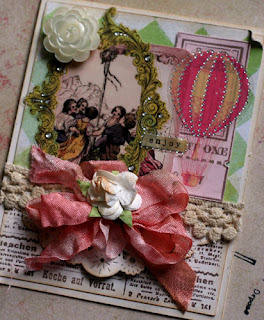 I just love the Laced with Grace Stamps. 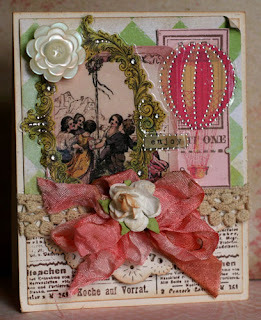 The Newsprint Stamp is one of my favorites and I used it to stamp the bottom of the card. The ticket stamp comes from the same collection as well, and I know it will get plenty of use in the future! The Glitzers and the Whatnots are from the Afternoon Muse line. All of the goodies make a perfect card for a celebration!! For the second card, I pulled out some older Glitz Design Love Nest paper and paired it with the Damask paper from Love Games. I also used stickers from both the Love Games Collections and Laced with Grace Collections!! I just love to mix and match!! The sentiment sticker is one of my favorites of all! Such great advice!! I hope you have a very Glitzy Day!!! 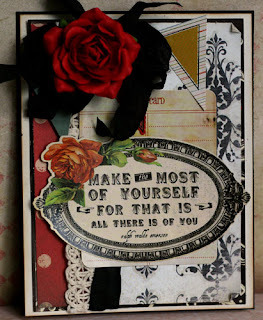 love the "make the most of yourself..." it's a beautiful card and the message hits home with me today. Your cards are just stunning!! TFS!! Love this sooo much. Gorgeous cards!! Thanks for the inspiration! !